Paul Heywood-Smith’s interest in the Arab-Israeli conflict commenced in London in 1973 at the time of the Yom Kippur War. He was then a young lawyer imbued with the values derived from the fight against apartheid and opposition to the Vietnam War. His thesis is that the conflict is the defining conflict of our time, and has had that status for at least sixty years. It is behind the rise of militant Islam. It was the impetus for 9/11 and 7/7. 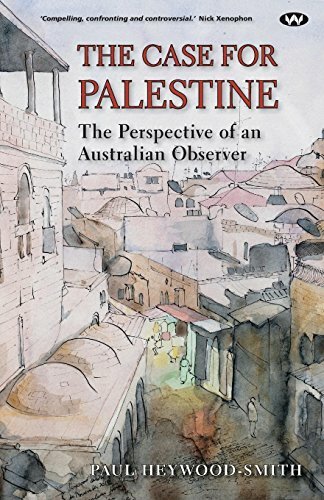 The Case for Palestine presents the history and the issues objectively – and subjectively – in a way comprehensible by all in society. Not to be informed of the Arab-Israeli conflict is to fail to understand what is happening in our lives: in respect of our privacy, our national defence, our security when travelling, our future and our children’s future. Heywood-Smith argues that it is the responsibility of all adult and thinking members of the world community to inform themselves of the background to the conflict and the current issues associated with its resolution.